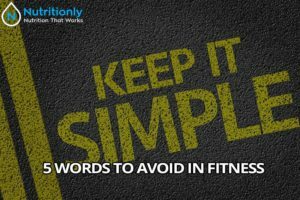 The post Fitness Jargon to Avoid – 5 Words to Avoid in Fitness appeared first on Nutritionly.com. When it comes to fitness we all want immediate results. Pills, creams, drinks and “systems” are sold every day to those who want to lose weight or gain muscle. Billions of dollars are spent every year to find the magic to reach fitness goals the easiest way possible. No matter what your fitness goals are, everyone wants to get there in the most efficient way and they should. There is enough temptation in our lives to derail our plans that one should try to keep their path to fitness as simple and direct as possible. As a consumer, we are romanced by the advertisements for all the products available for sale, each promising us that it will solve all our problems. Yes, there are many products out there that will help reach your fitness goals, but there are many that are just a waste of time and money. Weight loss and muscle gain is a simple equation; calories consumed and calories expended. There is no secret to this biological fact. Those who have reached their fitness goals haven’t unlocked any kind of fitness secret or an ability to change how they work. There are experts who have studied the human body and know more about how our bodies work but there are no secrets. Their knowledge allows them to develop programs, diet plans, and other fitness systems. Tread VERY carefully when you see this word. Many detox drinks, pills, and teas have little to know research behind them and can even be harmful. They are not regulated by the government and have little to no scientific proof that they will work. A quick loss of several pounds in a few days is usually the result of the loss of water weight and can return just as quickly. This is not considered a long term weight loss. While great to see in the beginning of any weight loss program, it can backfire when results slow down after the first week or so. If you feel you need to detox your body, just like fitness goals, it comes down to simple facts. Examine your diet to see if there are deficiencies in what you are fueling your body with. Generally, an increase in fiber, water, and probiotics is a good, and gentle, way to begin. This paired with a decrease in “junk” food will slowly bring your body closer to optimum balance. Very little in the body happens fast or immediately and any lasting improvements happen with consistency and time. Despite our desire for immediate gratification, there is no way around this. The only exception might be in form. Proper form and posture can take away strain on the body and help prevent injury. Also, proper posture can make you look taller and help distribute your weight better, making it appear that you have slimmed down a bit. A way to make your goals appear “faster” is to measure yourself. It doesn’t matter if it’s with a tape measure or strength, as long as you do it regularly and record it to see how far you have come. Measurable improvements can help motivation on the long path of fitness. Everyone is different. To place the label best or worst on a fitness aid is a blanket statement that is not the same for everyone. It’s all a matter of perception. Many people swear that spinning is the “best” way to shed pounds while others feel that running is the best. They are both right because that is what works for them. Your results may vary. It is easy to slap the label of “best” on a product. The manufactures want to sell their products and it is their job to convince the consumer that their product is the “magic key” to meeting your goals. I am not saying that their products are good or bad, but be careful to look past their labeling and investigate it a bit more before putting your money and faith in something. We all like the new, shiny products. Some products do get better over time, but don’t forget the old saying, “if it’s not broke, don’t fix it”. Just because it’s new doesn’t mean it is better. In college, textbooks are a big cost to students. Every few years a new version of a textbook comes out, forcing the students to purchase the new book. New textbooks can be very expensive and they recover very little back when they sell them back at the end of the term. Instead of using the same version of the book over and over again, the publishing companies will make a minor change in the book (sometimes the just the cover) and create demand for it. The same can be said with almost any product where the improvement or update is hard to see past the packaging. If a system works for you and there is a new version, feel free to investigate it. Do the research and find out what has changed and decide if it will be a benefit before incorporating it into your training program. Derailing your progress in fitness with a new product can slow you down and hurt your motivation. 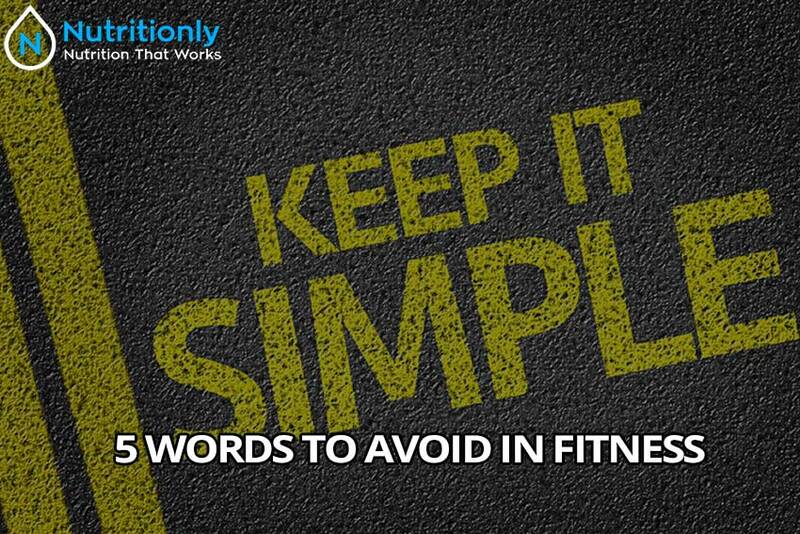 This is no means a comprehensive list of things to avoid when doing choosing things to aid you in your fitness goals. The important thing is to do your research. Making informed decisions will only help you along your path. There are no secrets to unlock to meet your fitness goals. It all comes down to hard work, time, and finding what works best for you. Tread carefully and dig a bit deeper behind the label before investing your time and money to make sure that it will be helpful and not just become something that collects dust. The post Top Reasons Why You Should Eat Spicy Food: Pros and Cons appeared first on Nutritionly.com. From chicken wings to Thai food, you might have a feel a temporary sting in your guts after indulgence. Have you ever thought about the mystery behind spicy foods? Why we find pleasure in pain? Why hot sauce bottles are plastered with words like death and atomic etc., still we like too spicy? One theory suggests we indulge in spicy foods just for a thrill, like riding a roller coaster or running a marathon. Oddly, we humans find pleasure in really freaking scary and painful things. It is like the battle of the mind vs. body, where the minds win. Another theory holds a view that spicy foods have a wide range of health benefits, so our body craves these foods. According to my theory, there is nothing wrong with relishing spicy food as long as you know how it can have an impact on your body. If you know when to stop and hold back from indulging in your favourite food, you can do a great favour for your health. Spices usually get a bad name, but you cannot maintain good health without making it spicy. Capsaicin is the compound that gives hot red chillies its kick. Speculation of the notion suggests spicy foods enable efficient burning out of calories. Hot and spicy food is delightful for the taste buds, but it can also help you to lose weight. Capsaicin in spicy food like jalapenos, habaneros, and cayenne, is a natural chemical to speed up metabolism, increase the heart rate and body temperature. According to the New York Times, spicy dishes temporarily boost metabolism and speed up the process of calories burning. The active compounds in chillies are major waistline warriors against craving. Red pepper helps to manage the appetite and helps in burning out calories. Spicy dishes have more chances to leave you satisfied after a meal. According to a Canadian study, the group men under observation consumed 200 fewer calories than peers because they had an appetizer with hot sauce. Cindy Kasindrof, co-founder of the Joni Juice, suggests eating spicy food with a heavier meal, like lunch or dinner, is the best time for the consumption of spice. The sprinkling red pepper on your meal is a dietary change which does not require much effort. It will result in sustainable weight loss benefits in the long run especially when paired with exercise and healthy eating. Spicy food increases longevity because it slows down the ageing process by increasing blood flow to face and body. Increase blood flow to face and body make skin look and feel more youthful. According to Dr. Kasindrof, any food that helps you inside of your body can make you look good. According to a Chinese study, eating spicy food once or twice a week reduces 10 per cent overall risk of death. If it were not convincing, you would look the other way around how spicy food aids in longevity. Eating tasty food helps in cancer prevention; it makes the heart healthy and helps you to lose weight. All these things together can help you to live a longer life. Numerous studies have suggested that regular consumption of chillies and curry decrease the risk of cancer. Capsaicin decreases the growth of cancer cells, and in some case, it causes the death of the cancer cells without harming the surrounding cells. In countries where diet is rich in chillies and capsaicin, such as in India and Mexico, the chances of having cancer are low. Spicy food has an anti-cancer potential. Turmeric, a peppery flavoured spice contains active antioxidant curcumin which has some anti-cancer effects. According to the American Cancer Society, Capsaicin slows down the growth of prostate cancer cells. Pungent food is always good for the heart. Hot pepper improves heart health by enhancing the ability of the body for blood clots dissolution. Capsaicin, the active ingredient available in jalapenos, cayenne pepper, and red chilli peppers, decrease bad cholesterol and improve the heart functioning. According to a study conducted by American Chemical Society capsaicin reduce the accumulation of Cholesterol in a body and lower the rate of breakdown. Capsaicin also blocks the gene that makes arteries narrow that cause increase in blood flow in the vessels. Capsaicin fights inflammation, a risk factor for heart disease. According to research low density cholesterol resist oxidant for longer time period. Adding chilli to your diet will decrease the heart stroke rate. The consumption of spicy foods also improves blood circulation and help in decreasing blood pressure. The consumption of spicy food is an excellent way to relieve from sinus as it opens up the breathing airway. As mentioned above spicy food improves blood circulation and enhances the flow of blood in the body, thus improve the entire system. People facing sinus conditions are not alone taking advantage of spices. Chilli pepper is considered to be medicinal as this component of your diet is chock full of vitamins like A and C. Additionally, chilli pepper boost the immune system and even fight the common cold. If you have the problem like pain from arthritis, shingles or even some kind of headache doctor will recommend using an over the counter cream with capsaicin as an active ingredient to relieve pain. The cream will have a concentrated amount of capsaicin which is very effective for pain relief. Spices improve digestion. It increases the hydrochloric secretion of a stomach, which in turn increase blood flow as well as strengthen the mucous lining. Capsaicin kills bacteria like Pylori. Spleen, a primary organ involved in digestion and food transportation, is the primary ingredient in Chinese medicine. Damp body affects the functions of a spleen. Therefore, the proper use of chili can help you to get rid of body dampness for better functioning. Chilli by increase food transport and metabolism will assist in the digestion process. This is the reason why people found chili helpful in weight loss. Other than enhancing the flavor of your dishes spicy food will help you in different ways. The heat from hot spicy food will cause your brain to release feel-good endorphins. This will help your body to fight against the pain from heat, but it will live up your mood. According to experts hot spices reduce inflammation, increase heart rate and will help in pain relief. Australian researcher reveals that regular consumption of spices in your meal make you fell asleep easily, woke up easy and spent your day more energetically. Hot pepper acts as expectorants. People with asthma, chronic bronchitis, emphysema, sinusitis and some other respiratory condition can breathe more easily with the help of hot pepper. 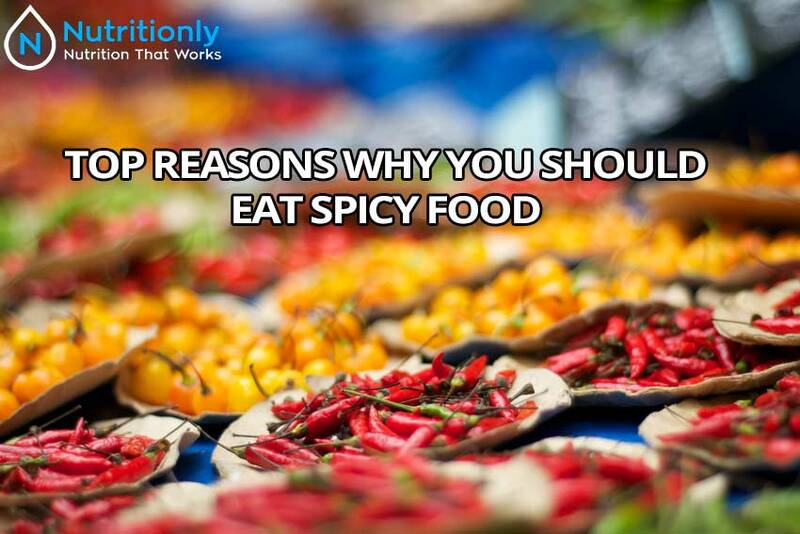 It is difficult to deny the fact that spicy food has a fair share of benefits, but it also has some downfalls. Are you fond of hot and spicy delicious items? Don’t worry you can lose some extra pounds from your body. Capsaicin, the fiery substance in chili pepper by increasing your body heat and metabolism offer a wide range of benefits for a body, but this same component elicits intense short-term symptoms. Although, current evidence confirms that capsaicin protects against ulcer pathogen, but the extreme amount of spicy and hot food consumption on the continuous basis can aggravate some significant problems such as the ulcer. Capsaicin has some significant health benefits, but it also has some drawbacks. Capsaicin can be a very potent irritant which can cause damages to the lining of the stomach which in turn will cause gastritis, ulcers and intestinal diseases. You add spices to enhance the flavor of your dishes but what if you start diminishing the ability of your taste buds? Yes, spicy food causes irreparable damages to your taste buds hampering sense of taste. The unwanted and ever presented most critical side effect of chilies is effects of cutting pepper when you touch your eyes. Spices add flavors and make your food tasty, but you will end up with a burnt tongue and burning sensation in your mouth or even worse that. Spicy food also causes heartburn and reflux disease because spices are acidic rich with irritant properties which can create and unwanted effects. Losing weight through consumption of chilies doesn’t mean to devour tons of spicy food. Moderate use of spices can increase heat temperature, lead to increase in metabolism and consequently weight loss. The flip side of the coin suggests excessive seasoning will increase the acid content in your abdomen and it will cause the ulcer. How Many Chilies Should You Eat? According to me, if your body and the season are suitable to eat chilies, then eat a certain amount of chilies but don’t overeat it. If you over eat chili, it may overheat the body or can result in some significant damages to your health such as the ulcer. Therefore, it is essential to take the moderate quantity of spicy foods particularly when you have sensitive stomach issues and low tolerance for spices. Make your food medium spicy and keep yourself hot to improve or extend your lifestyle and culinary horizons. Those who eat spicy food twice a week or more reduce the risk of death by 10%. Spicy food consumption six times or more in a week reduce the risk by 14% because spices improve metabolism, heart rate, and blood circulation. It helps in losing fat, burning calories and much more. Other than seasoning food spices have some significant damages to your health and body such as digestive disorders and much more. I have talked about spices and how you can leverage all its benefits without succumbing to the setbacks. Now you have good and bad views at eating spicy food. The added taste and sensation of hot sauce in your diet will outweigh the bad, but the cons of tasty food are a very subjective matter. 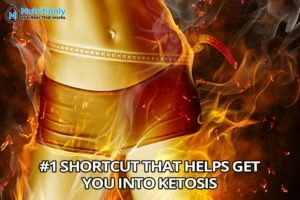 The post #1 Shortcut That Helps Get You Into Ketosis appeared first on Nutritionly.com. Many people in the world over are looking to go into ketosis, but the problem is that there are several theories on how to get into ketosis. However, the best way is by changing into a Keto diet. It will not be easy making the switch, but it is a sure way to get and stay in ketosis. The Keto diet is low in carbohydrates, and this forces the liver to produce ketones used by the body for energy. For most people, the biggest persuasion to take up the Keto diet is for weight loss and management purposes. The diet mimics starvation, and this puts the body into ketosis, which is a metabolism state that produces ketones. The number one reason that you are not in ketosis yet is that you are still ingesting a lot of carbs. This could be in the form of restaurant food, snacks with processed sugars and your favorite salted snacks. The Keto diet, however, has critics for several reasons, and so you should consult your doctor to consult on how you need to make changes to your diet. Most people will struggle with reducing carbohydrates from their diets and increasing their consumption of healthy fats. However, there is a plan with which you can ease your body into ketosis. Here is a systematic process outlining what ketosis is and how to get into it. Several studies have come out in support of changing your diet as the easiest way to get into ketosis. But what does it mean to get into ketosis? Ketones occur when your body breaks down fat, which then releases the energy you need, and they are necessary for getting you into ketosis. The key here is to consume healthy fats, proteins, and low carb diet. With this diet, your body goes into a state of ketosis, and in that state, your body starts burning fat, and in so doing, it helps in weight management. The switch to a keto diet may seem difficult since it sounds complex and more technical than the popular grab-and-go meals we love. However, it is one of the best ways to maintain good health through the things we eat. The diet will give your body access to healthy sources of energy that it can break down without much strain. With that said, it is not always easy to get into the keto diet, but it is possible. Below is a breakdown of the macronutrients you should start eating to get into ketosis. The keto diet is all about balancing the three major categories of macronutrients, that is, carbohydrates, fats, and proteins. According to the livestrong.com, the optimal recommended carbs intake for an adult is 50 grams per day. This is a much lower intake compared to the fact that most adults today take in an average of 300 grams per day of carbs. However, the 50 grams of carbs should not be ingested on a long-term basis, so consult your doctor or nutritionist before you make the drastic cut. The keto diet promotes the consumption of proteins since they are essential for weight management and overall health. However, you only need to consume a moderate amount of proteins. Taking too many proteins can delay the time it takes for you to get into ketosis. The amount of protein you should take is dependent on your weight and level of difficulty of your daily activities. For example, if you are an adult weighing 200 pounds, with 40% percent body fat and a lean body mass of 175 pounds, this is how you calculate your daily protein requirements: 175 x 0.6 = 105 grams of protein per day. Another way that you can calculate your ideal protein intake is by ensuring that you are getting the utmost 20 percent of your calories from protein. This is the formula to use: (Calories x 0.2)/4 = grams of protein. You need a healthy source of fat, but not all fats will help you get into ketosis. The recommended daily fat intake should be in line with your caloric needs. Preferably, 70 percent to 80 percent of your daily calorie intake should be from healthy fats. Use this formula to calculate the amount of fat you should take on a daily basis: (Calories x 0.8)/9 = grams of fat. With the above formulas, you can know the ideal intake of macronutrients you need to ingest per day. The keto diet was created by Dr. Russell Wilder to help patients with epilepsy. He aimed to design a diet that mimicked fasting, and earlier results indicated that fasting reduced the occurrence of seizures in children and young adults. The benefits have also proven to be essential in weight management, reducing hunger, controlling blood sugar, and thus very good for diabetic patients. While fruits are a source of natural sugars, having too many of them could get you out of your ketosis, so proceed with moderation. These are the foods you need when getting into ketosis. However, be on the lookout for the calorie content in the cheeses, since some have more calories than others. The number-one shortcut to getting into ketosis is by making changes to your diet. However, it will take a lot of sacrifice and discipline to get it right. 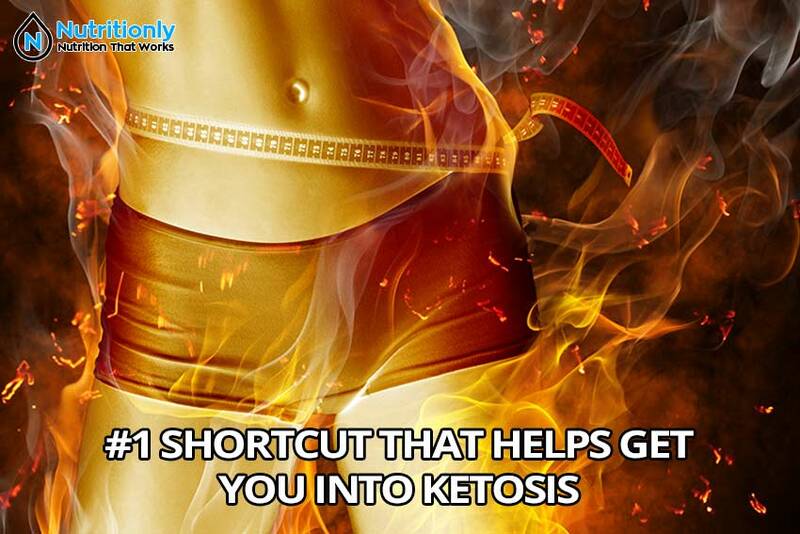 Visit Konscious Keto for more information about ketosis, and how to get into keto. 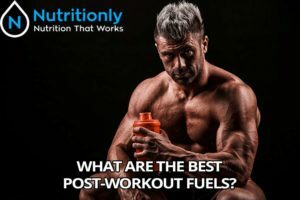 The post What are The Best Post-Workout Fuels? appeared first on Nutritionly.com. After a long, hard workout in the gym, a HIIT or even CrossFit session, you need to re-feed your body with the best nutrition you can offer in order for it to heal and your muscles to repair and grow. Arguably, your post workout shake and meal are the most important meals of the day; they are the meals that will replenish your glycogen stores and nourish your body when it needs it most. 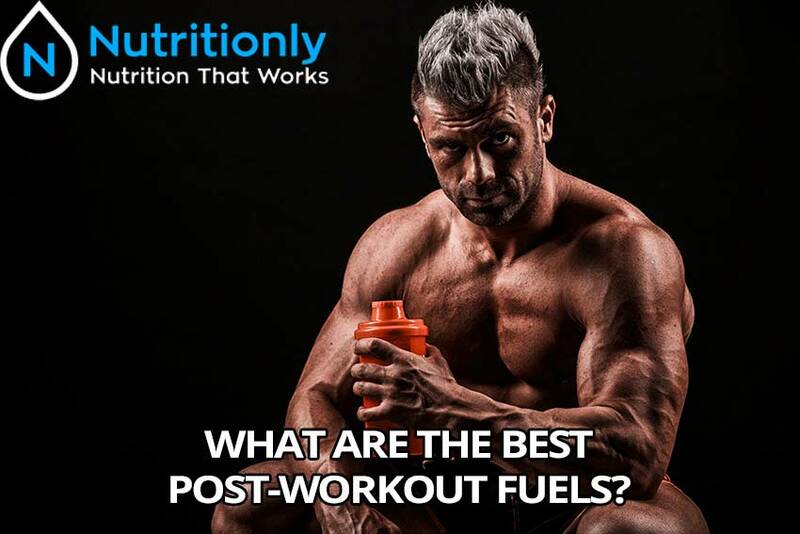 So, what are the best post-workout fuels that you should be consuming? Protein and carbohydrates are the fuel sources your body craves straight after you work out. This is the window when your blood circulates best. If your main aim is to build muscle, try to eat between 20-30 grams of protein and 30-35 grams of carbs ideally within about 15 minutes of your workout. If you’re training to maintain shape or shed a few pounds, you can have a little longer and eat within 45 minutes or an hour after your workout. The most beneficial food component to consume after a workout is protein. There are plentiful protein supplements available on the market that make it nice and simple for you to get your post-workout dose. A scoop in water or almond/coconut milk will make a tasty and delicious shake. Whey protein is the most popular choice for post-workout fuel, more specifically whey isolate. Whey isolate can be absorbed extremely fast by your body. This is because whey that has been hydrolyzed is the most easily absorbed because they protein has already been broken down into peptides. After your workout, your body will be craving a carbohydrate to replenish its glycogen stores so that it can recover quicker and power you through your future workouts. Because of this, we suggest our athletes and keen exercise enthusiasts go for highly branched cyclic dextrin (HBCD) which you would mix with your protein and drink straight after your workout. This is because they release into your system fast as they are digested at a quick rate and will give you a much-needed spike in blood sugar. Ever felt a little bit weak and shaky after a workout? That’s because your body requires carbs fast so choosing a high GI carb is the best option to combat this. No matter what your goal is, the best thing you can do before you exercise in whatever form that may be is to prepare your post workout shake or meal first. Take a few moments to scoop your protein, highly branched cyclic dextrin and water into your shaker. Shake it up or blend and pop it in your gym bag so it’s ready to fuel your body immediately after your workout. 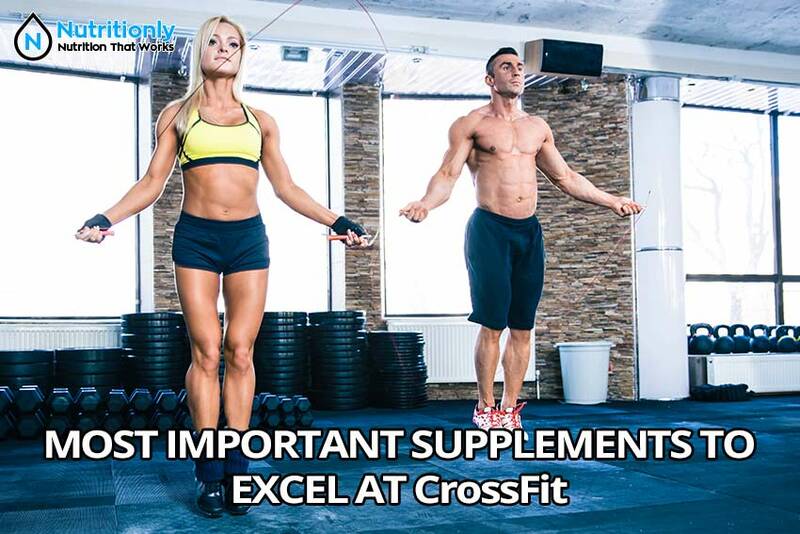 The post Most Important Supplements To Excel at CrossFit appeared first on Nutritionly.com. CrossFit is one of the most demanding exercise regimes your body can undergo – it demands extreme physical fitness and adaptability. You will train your body hard from head to toe. All CrossFitters should have a quality protein isolate source to consume immediately after their workouts. Protein isolate such as whey isolate or soy isolate (for vegetarians) is lower in carbs, lactose and fat than your standard proteins. An isolate protein undergoes further processing which yields an end product with purer protein and fewer calories. Protein isolate has more intact bioactive peptides, which can be rapidly absorbed into your bloodstream. Protein is vital for muscular growth and recovery following a rigorous physical performance, and your ability to develop lean, strong muscles that can withstand the onslaught placed on them by CrossFit sessions will be greatly enhanced when using a supplement like this. One of the other huge benefits of taking BCAA’s is that owing to their anti-catabolic (meaning that they stop the breakdown of muscle cells) nature – they can come in incredibly useful for periods where you’re performing an intense exercise for a sustained duration. There will undoubtedly be periods where you plan to train (cardio perhaps) for longer than 30-45 minutes, and taking some BCAA’s shortly before and during your session will mean that you’re not as likely to lose any of the lean tissue you’ve worked so hard to develop. This “catabolism” can happen when all of the available glycogen (stored sugar) stores in your muscles have been depleted, after which your body may turn to your muscles for energy. A high-quality creatine supplement could potentially provide you with the ability to smash out a few extra reps per set or even perform explosive bodyweight movements over a sustained period with greater efficiency. We actually have creatine in our muscle cells already and it’s a standard part of our biological make-up. Creatine is responsible for assisting us in the performance of any short-term “explosive” movements, so it probably goes without saying that it’s a vital component for performing a CrossFit workout effectively. Potentially, the most popular product within this category is creatine monohydrate. This form of creatine will allow you to enhance your performance by drawing more fluid to the muscles (another vital component for muscular performance) and enhancing their capacity to function as a result. Additional reading: Creatine: To Load or Not? One of the major downsides to the product, however, is that it can draw TOO much water into the cells (including the stomach area annoyingly) meaning that it can make you look bloated. You’ll be much better off using either Kre-Alkalyn or Creatine Ethyl Ester being that they both successfully drive fluid into the muscles with minimal excess fluid storage in the process. This makes for not only a leaner appearance, but means you’re not carrying any unnecessary extra body weight (vital for optimum performance) too. One of the most important aspects of your workouts is both your post workout nutrition and your pre-workout fuel – cyclic dextrin is the perfect substance to optimise your performance and maximise your results in both of these capacities. CrossFit workouts rely heavily on stored glycogen in order to be able to perform them to a maximal extent. Therefore HBCDs are great to fill your muscles after a heavy WOD with carbs to accelerate your recovery. The reason why this form of dextrin (dextrin is simply a rapid-acting form of carbohydrate) is that it has been formulated to absorb with the utmost efficiency, faster perhaps than almost everything else that has come before it. For this reason, it’s also one of if not the single best product on the market for combining with whey protein in order to shuttle the BCAA’s (contained within the protein powder) to your muscles at an accelerated rate. Regardless of how you choose to use it, it simply going to provide you with an immense surge of energy, massively increasing your recovery so you’ll be ready to smash that WOD next day. ZMA is basically a blend of zinc and magnesium (with a little added vitamin B6) and it has become immensely popular amongst the lifting crowd owing to the fact that it can enhance your testosterone output. The more testosterone you have flowing in your body, the higher your strength and lean mass development capacity is – both of these positive benefits are obviously going to have a huge impact on your crossfit performance. Another great reason why so many people swear by it is that it actually helps you to sleep more easily, and more important – more deeply. It’s been proven that (especially for active individuals) an ideal of 8 hours sleep is required per night. It’s only when we hit this “golden” sleep number that we release adequate enough growth hormone to repair and fully recover from our physical activity sessions. For the positive elements mentioned above, you should definitely integrate ZMA as part of your supplement stack from now on. Beta alanine actually comes from many of the food sources we consume; only it’s not in a high enough quantity to create a dramatic difference on our physical performance. What this substance actually does is reduce the buildup of lactic acid, thus ensuring that you can perform rigorous physical exercise over longer periods without having to take any unwanted breaks. This reduction in lactic acid directly translates into an enhanced ability to perform both resistance and cardiovascular-based activity being that fatigue won’t set in anywhere near as early as it would without using alanine. This could be one of the most effective supplements you’ve ever used as a crossfitter being that lactic buildup is likely the most common inhibition you may face whilst training. This supplement is going to deliver very practical results in the form of reduced inflammation of the joints (and immune support) both of which could have an enormous impact on the outcome of your training sessions. It probably goes without saying, but crossfit isn’t exactly “easy” on the body, and you’ll find that your joints will be exposed to a fair amount of wear and tear as you smash out those burpees and power cleans. s a result, you’re certainly going to spend no small amount of your time aching from the high intensity nature of the movements. Aching isn’t a bad thing, in fact, it’s often simply a sign that you’ve done something “new” to your body, but it can sometimes be fairly severe to the extent that you’ll head into subsequent sessions without fully recovering from the last. In this capacity, fish oil could be indispensable as it’ll theoretically allow you to get rid of the soreness much faster, plus with the added immune support (training DOES briefly diminish your immune function) you’ll find that you’re able to “keep going” better than ever before, day after day. These supplements are hands down going to be some of the best out there for you to maximise your CrossFit training results with. There’d be no harm whatsoever in using all of them, and should you do so – you’d have an immensely powerful supplementary arsenal at your disposal. Did we miss something? Any supplements you find super beneficial? Leave us a comment! 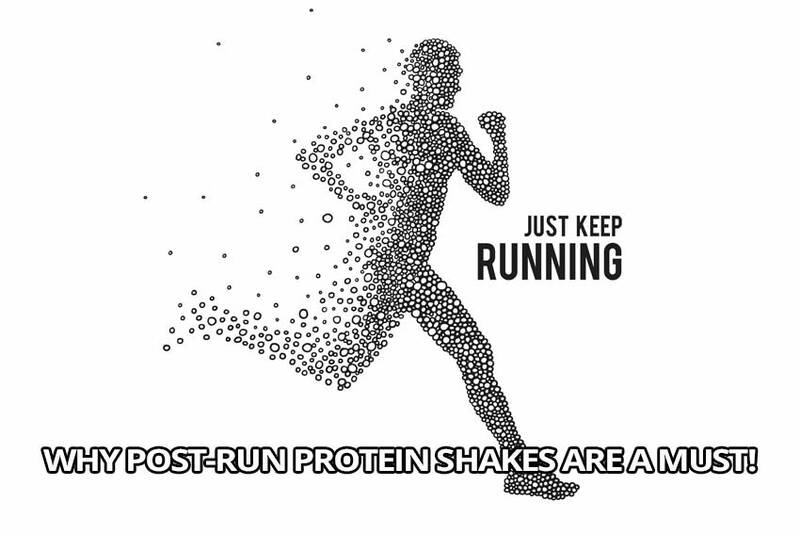 The post Why Post-Run Protein Shakes Are a Must! appeared first on Nutritionly.com. You’ve just finished a long run, maybe training for a marathon or half marathon. Now is the time to give your body what it needs to recover. A protein shake after a post run is a perfect way to re-fuel. Regular runners burn more calories than those who are less active. Their bodies break down protein, especially if they haven’t consumed enough carbohydrates before the run. Because the protein breaks down and used as fuel, it cannot do what it is there for – to aid in muscle growth and repair. Protein shakes give your body a boost in repairing the microtears in the tendons, muscles and tissues throughout your body. Sure, most of the microtears are in the legs, but when you run, the entire body is working as well. The body breaks down the protein to obtain amino acids that aid in tissue repair. When consuming a protein shake after a long run, this feeds your body’s needs and helps speed up the repairs to the body. The faster the repairs, the quicker the recovery time. Long runs require endurance regardless if the run is for fitness, race preparation, or just for pleasure. 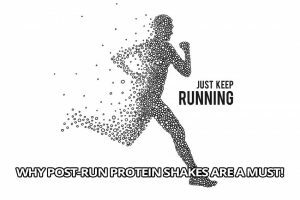 When looking for a post run protein shake, you will want one with isoleucine, valine, or leucine listed in the ingredients list. These three ingredients contain branch-chained amino acids. The branch-chained amino acids help muscle development which can help the legs become equally strong and are able to run faster. When the muscles get stronger, it can increase your endurance and stamina needed for longer runs. Most people are dehydrated even without out long runs or intense workouts. During a run or any physical activity, the body uses up more water through both the body working and through perspiration. Dehydration can lead to side cramps or fatigue, but not taken care of, can lead to further medical conditions, like heat stroke. It is important to make sure that in addition to any protein ingested after a long run, that you take the proper steps to also stay hydrated. High doses of protein can lead to dehydration. One protein shake will not throw you into dehydration, but make sure to watch your fluid intake both during and after your long runs. It is common for runners to have pain in their joints and muscles after long runs. This causes inflammation in those areas. It is the body’s warning sign that there is some kind of injury and the body needs to send repair cells to that area. While pain is an important signal for athletes to be aware of, excess inflammation can just be painful and can slow down training and performance. Whey protein shakes can help because they have anti-inflammatory properties. Note: Do not use whey protein if you are allergic to dairy products. When training with long runs, extra protein needs to be part of the athlete’s diet. If the training runs are an hour long, the runner should be consuming 0.6 grams of protein per pound. So a 150 pound runner needs to be getting 90 grams a day. (Someone with a sedentary lifestyle should be only consuming 0.36 grams per pound or 54 grams for the same weight.) The longer the run, on a regular basis, the higher the amount needed will be. Should you eat all 90 grams in one or two meals? NO! The best thing for your body, is to spread it out over the day, including right after your long training runs or races. The best way for your body to absorb protein, and other nutrients, is through food instead of pills. A protein shake is a great way to get the needed protein into your body after a long run or intense workout. Consuming a protein shake after a long run will give you many benefits when it comes to repair, recovery, muscle building. Training and fitness is not just about what physical activity you do or for how long, it is also about what you put in your body to fuel it. An athlete with the proper nutritional fuel will perform better and recover faster than one who is deficient. The better you take care of your body, the better it will take care of you. If you want to learn more about our custom nutrition plans for runners then check this out! The post How To Speed Up Your Metabolism And Burn Fat With HIIT and CrossFit appeared first on Nutritionly.com. In an ideal world, your chosen form of exercise is going to burn body fat, develop lean muscle and improve your fitness in one fell swoop. The only problem with this concept is that most exercise formats simply isolate one of the above facets as opposed to providing an all-encompassing structure to achieve ALL of these goals. Luckily for you, High Intensity Interval Training CAN actually do this. For those who are willing to put in the effort, this form of exercise is perhaps better than any other for shredding through your body fat levels. How does it work? And why exactly is it so effective? We’re going to analyse this highly effective training format so that you can fully understand why millions of people have already lost endless amounts of weight by integrating it into their daily structure. 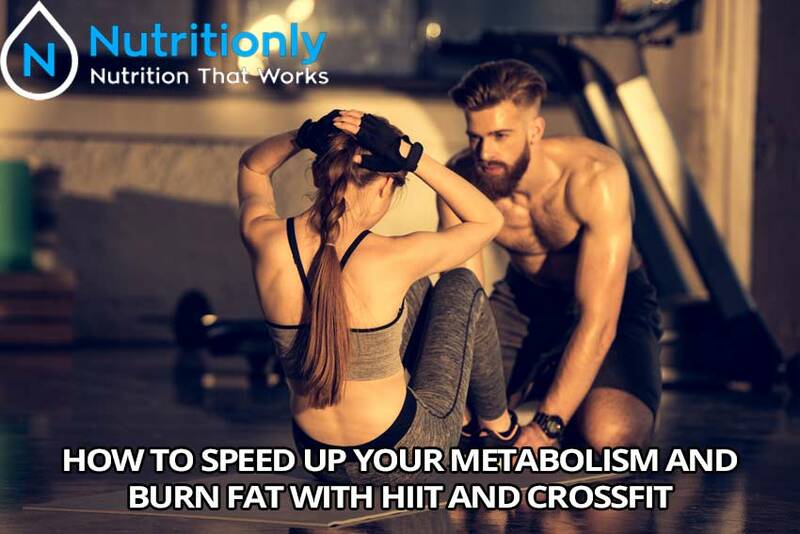 There are several reasons why HIIT is considered by many to be the “king” of cardio, not least of which is its ability to melt body fat for up to 48 hours after you’ve finished training. This is due to the fact that (as the name may imply) you’re going to be performing several “intervals” of super high-intensity exercise, followed by lower intensity recovery periods. Ultimately, this causes your heart rate to continuously rise, then lower, then rise, then lower again over the entire duration of your workout. As a result, your body is going to work overtime to try and “regulate” it in the period following your training session. This means that your metabolism is going to kick into overdrive in an attempt to sustain your body’s energy output. Equally as positive is the fact that anaerobic training like this (anaerobic simply means to operate muscularly, without relying on the respiratory system for sustenance) actually develops your fitness within both (aerobic and anaerobic) energy zones. When it comes to CrossFit performance, this is fantastic, as you’ll be using a healthy dose of both zones. It’s also going to improve your overall vitality. Depending on the type of interval training you perform (you can do it with pretty much any form of cardio or bodyweight exercise) you can also develop your lean muscle mass. This cocktail of benefits makes HIIT training one of the most useful training formats out there for not only burning fat, but achieving several of your other overriding goals in the process. Consider that, by definition, HIIT cardio simply means that you need to perform exercises in high intensity intervals. As such, you could choose any training method you like (running, swimming or cycling for example) and adopt this structure. Most people choose to perform either 45 seconds or 1 minutes worth of low intensity exercise, followed by the exact same durations worth of high intensity exercise. You can do this over a total and continuous alternating period of 15 – 20 minutes to achieve maximum benefit. With this in mind, you could actually perform press-ups, or burpees, or hill climbers… the exercise world is truly your oyster! What’s better is that you don’t need any equipment or a gym in order to perform it, this means that you can perfectly supplement your main training sessions with HIIT in the same or separate days to make your fat loss results skyrocket. As a rule of thumb, you’ll need a minimum of six “intense” intervals in order to achieve the metabolic and fat burning effect you’re looking for – this should be your minimum standard when using this training type. Amazingly, after a sustained period of performing HIIT cardio, you’re going to fine tune your metabolism so much that you end up burning calories around the clock. When most people think of exercise, they only consider what they burn whilst they’re actually training, but the experts know that the key to developing a lean, fit body is to burn calories even whilst you’re sedentary. If you consider that CrossFit follows a very similar “interval” format, you could actually turn yourself into a metabolic furnace, burning calories both day and night to literally strip any stubborn body fat you have away from your frame. If you haven’t already, implement some HIIT into your weekly schedule two to three times per week for 15-20 minutes in conjunction with your regular sessions. You’ll definitely love the results to both your waistline and fitness levels. 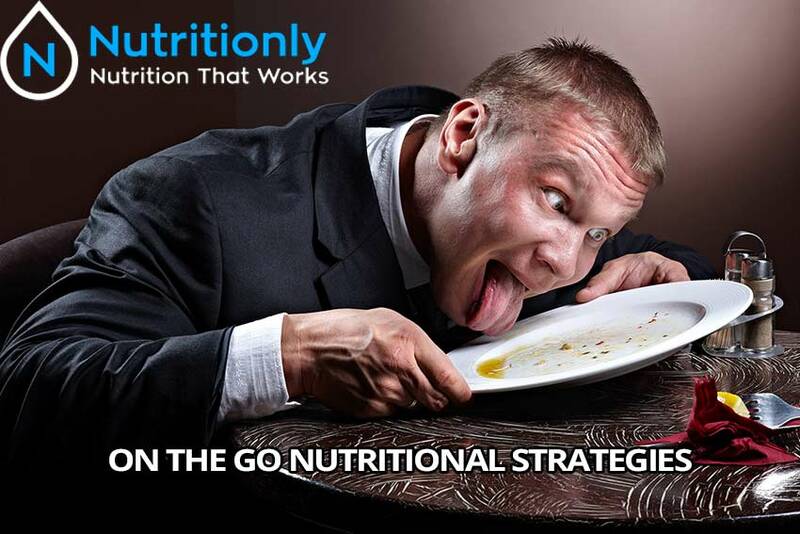 The post On the Go Nutritional Strategies appeared first on Nutritionly.com. Often I hear a lot of excuses from people who are busy and always “on the go.” Whatever that means. To me, it sounds like an excuse. Yes, I know traveling a lot can be a bit stressful. Quite often it’s difficult to find healthy food options. Well, I have a few strategies that may help keep on track while you’re on the go. Currently, I’m not a huge traveller. I may take 2 trips a quarter. I prefer to drive whenever possible. I hate dealing with airports and delays. I choose to drive to maintain the majority of control. I also enjoy seeing the countryside. Usually, my trips are finished within the day. The strategy I use is that I fast on a travel day. For instance, if I have an 8-hour drive ahead of me, I’ll get an early start. I’ll have a big mug of coffee and lots of water. I do pretty well not stopping. If I do have to stop, I don’t get anything to eat. No snacks, no fast food, nothing. This isn’t a big deal for me. I practice intermittent fasting daily and typically do not eat anything until around 12 noon anyway. On these days, I just extend the fast a few extra hours. Traveling naturally carries with it a bit of stress. Not a huge stressor but a stressor nonetheless. I try to minimize stress in my life as much as possible. Digestion is also a stressful event for the body. It requires time and energy. I do not want to add additional stress to the traveling protocol. I’ll be sitting most of the day and won’t be burning that many calories. Therefore, my caloric need that day won’t be as high. Have you ever tried to fall asleep when you were hungry? It’s next to impossible, am I right? Well, that’s another key thing. Once I hit that state of hunger, I don’t have to worry about falling asleep at the wheel. The coffee will help to suppress appetite, along with the water. Sometimes I’ll throw a splash of milk or creamer and some stevia. These may contain a few calories but are minuscule in the grand scheme of things. Don’t go overboard here though. When I arrive at my destination, I’ll usually have a nice large meal. My favorite would be when I return home to East Texas and enjoy a nice grass-fed ribeye steak with some veggies. If fasting is not something you feel like you can do, well, you’re wrong. But, if it something that you refuse to do, there is another option which can still be beneficial. Stick to a liquid diet while traveling. This will make the digestion process easier than when consuming whole foods. As I stated earlier, digestion is a stressor and requires energy from the body. Now, I’m not saying that the natural stress of traveling and the stress of digestion are too much for the body to handle. It’s not. But, too much stress can wreak-havoc on the body and any attempt to minimize stress is warranted. Make sure that these liquids contain a significant amount of protein. Beverages filled with sugar are not going to be as beneficial as those with more protein. Sugar-filled drinks will improve energy in the short-term but could leave you awfully tired after a few hours. I would like to challenge you. Have you ever been truly hungry? If you’ve never fasted for 24 hours or more, you’ve probably never truly experienced hunger. Your appetite may have been stimulated but the true need of nourishment you have not experienced. For many of us, a day of fasting will do a lot of good. I would like to add that I am not a doctor and do not pretend to be one on the Internet. These are simply strategies I use when I travel. If you prefer to eat and keep it healthy, simple decisions are not hard. I find that often it’s not a lack of knowledge but rather, a lack of will. If you want to be healthy and fit bad enough, you will make it happen. If not, you’ll make an excuse. I challenge you today to make no excuses and become the person you were meant to be! 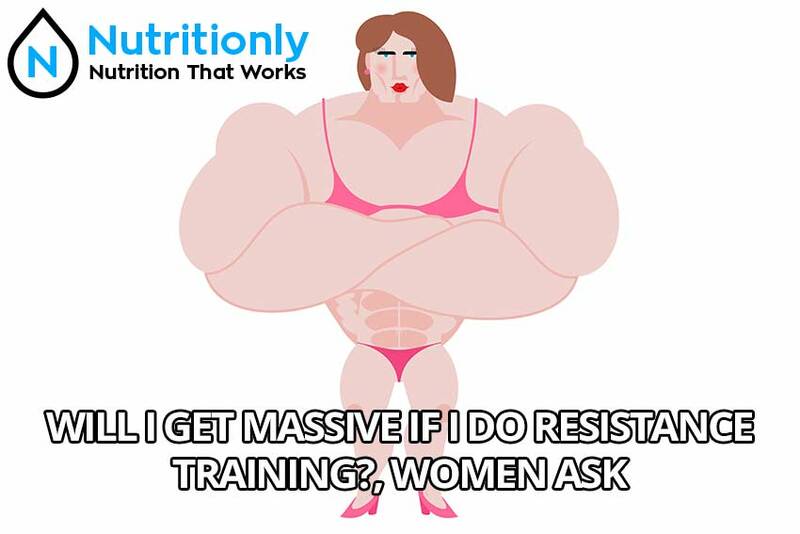 The post Women ask “Will I get massive if I do resistance training?” appeared first on Nutritionly.com. It can be hard to find an honest article online because no one likes to talk about the subject matter of steroids. The huge, muscular woman that have chiselled jaw lines and deep voices will have been cycling steroids for a long time. It’s this image that stops women wanting to resistance train. This look simply doesn’t and can’t happen simply via resistance training, it’s not genetically possible. Natural female bodybuilders, the ones who don’t take any enhancements simply can’t look like that and the ones that do appear shredded have followed a vigorous dieting regime to strip their body fat levels. So, the above explanation is the reason you won’t get ‘massive’. Resistance training coupled with a structured regime and tailored eating plan will allow you to tone and build muscle at a steady pace. Training each body part equally will allow you, as a woman, to enhance your natural curves. You will be able to build your glutes and your shoulders so your waist looks smaller and your proportions look perfectly symmetrical. Women can’t release as much growth hormone naturally as men, which is why women don’t get ‘massive’. Lifting heavy will help to improve your muscular tone as well as your strength and coordination too. It is a myth that women shouldn’t lift heavy because ladies, you are just as capable as men are when it comes to the gym. When it comes to resistance training you should do a mixture of high volume and heavy sets to really sculpt your muscles evenly. Resistance is also excellent for burning that stubborn body fat! A misconception is that resistance training doesn’t burn calories like cardio does. On the contrary, resistance training is excellent for burning calories and because it elevates your heart rate, your body can remain in a calorie-burning mode long after you have finished the workout! What’s’ more, resistance training actually burns more calories over a 24-48 hour period than cardio does. This is because your body uses up more calories to repair and grow the new muscle tissue. Ladies, try not to worry. Resistance training won’t make you ‘massive’. What it will do is sculpt and tone your muscles improving your strength and stamina. Resistance training will also help you to lose weight and make your bones strong. Hit the gym hard and don’t be afraid to lift heavier than the guys! The post The Insiders Guide: 7 Workout Supplements Every Woman Should be Taking appeared first on Nutritionly.com. I remember when I first started training and my first visit to the supplement store – that was a mind-boggling experience! I was faced with stacks upon stacks of tubs, bars, sachets and containers of a range of different supps all doing different things. What on earth? Where should I even start? After heading back home empty handed and somewhat confused, I decided to sit down and educate myself into the lowdown of supplements. With so many supplements available in shops which seemed to be geared towards selling to the bodybuilding audience, I couldn’t help but think, well if they are benefitting from all the added extras, surely us ladies can too? The mistake is thinking supplements are only for bodybuilders or athletes because this simply isn’t the case. Below I have devised a guide of the 7 workout supplements every girl should be taking who likes to train hard in the gym, enjoys regular fitness classes or their own exercise regimes. Protein is the supplement you should never be without. A tub of protein powder will make it simple and effective for you to give your body what it’s screaming out for after a work out. Whether you strength train or run your muscles will need protein quickly to repair and heal. A protein shake is such a quick and convenient way to get protein to your muscle fibers fast. You are probably very familiar with good old vitamin C already but you might not have known it’s an excellent accomplice to your workouts. When you exercise regularly, your immune system can take a beating, especially if you have a busy work and family life too. The best thing you can do for your immune system is supply it with vitamin C. Vitamin C is an antioxidant and helps to enhance your immune system. A vitamin C deficiency results in a reduced resistance against certain pathogens whilst a higher supply enhances several immune system parameters. Amino acids, or BCAA’s are the building blocks of protein and are what your muscles need to grow and repair. For most women, the goal of exercise is to lose weight and tone up. In order to tone up you need to look after your muscle definition. By adding a scoop of BCAA powder to your water to drink while you train will supply your working muscles with the important amino acids they need to repair and recover protecting your muscle mass – personally, I never train without them! Fish oil is an important supplement to take for women because it actively helps to support overall health, and it also has been found to turn on genes that stimulate fat burning. Fish oil contains Omega-3 fatty acids and these are essential nutrients, which are important in preventing and managing heart disease. Findings show omega-3 fatty acids can also help to lower blood pressure. Don’t just use any fish oil because lower grade oils can contain heavy metals that are dangerous to humans. Nordic Oil (best price on Amazon here and it includes vitamin D which is also very beneficial!) is a fantastic and quality brand because it boasts pharmaceutical grade essential fatty acids in high amounts (EPA and DHA). Because you are what you eat! Extensive and tough exercise/training regimens can deplete your body’s supply of iron, which can lead to you feeling fatigued and your immune system can become significantly weakened. For this reason it is imperative for women (also due to your menstrual cycles) to take an iron supplement. Significant reduction in the production of red blood cells due to lowered iron levels can even cause anaemia. Not only this, but according to the NDNS women in particular do not meet current iron recommendations so ensure you get enough by taking a tablet/supplement form of iron. Because us ladies often need a boost! Bust work and family lives often demand everything we’ve got in terms of energy stores. When it’s time to work out you probably feel a little deflated and well, flat. Indulge in some caffeine be it from a sugar free energy drink or a pre-workout supplement containing caffeine. This will provide you with the energy you need to give your exercise of workout all you’ve got fuelling your body and mind. Magnesium is an essential for the production of cellular energy (ATP). Magnesium is also highly beneficial for those women struggling with PMS, including premenstrual migraines, irritability, low mood, and cramps. Magnesium also has anti-inflammatory properties. Incorporating the above 7 supplements into your diet and training regime will keep your body fighting fit, your mind rejuvenated and you insides working for you not against you! If you haven’t been using the above, you’ll soon notice the difference!